ISLANDIA, Long Island (WABC) -- There was a special ceremony honoring the veterans of Suffolk County, especially a Navy Seal killed in Afghanistan. Gold Coast Bank hosted a Pre-Veterans Day reception in Islandia. The event honored hundreds of veterans including Navy Seal Michael Murphy, who was born and raised in Suffolk County. "Michael's story has touched so many people. He is like a poster child for our veterans and our front lines in the military," said Daniel J. Murphy, fallen veteran's father. 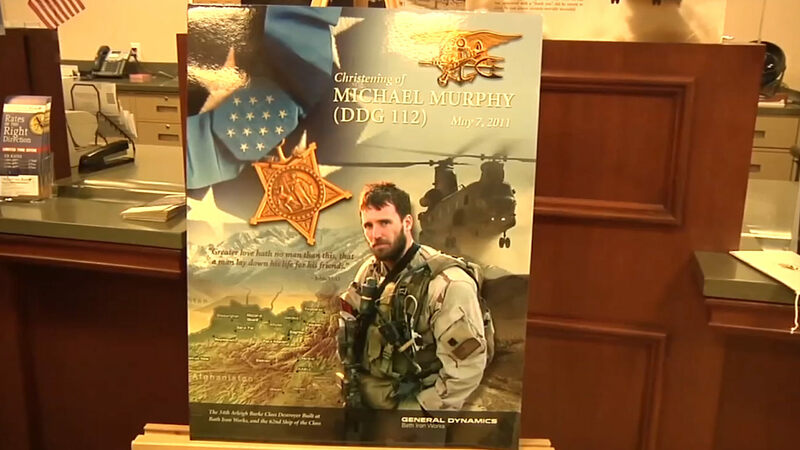 Murphy was 29 years old when he died in a gunfight with members of the Taliban in eastern Afghanistan.